The Shannon is Ireland’s greatest geographical landmark and longest river. It is both a barrier and highway – a silver ribbon holding back the rugged landscapes of the west from the gentler plains to the east. 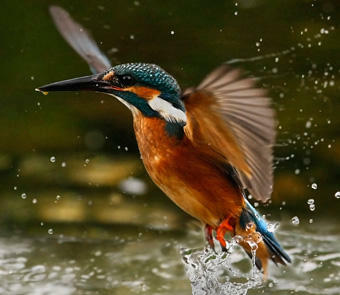 It's on display on West Virginia PBS during Nature:Ireland's Wild River on Thursday, March 5 at 8 p.m.
On its journey south, the Shannon passes through a huge palette of rural landscapes, where on little-known backwaters, Ireland’s wild animals and plants still thrive as almost nowhere else.